Nothing but the blood. 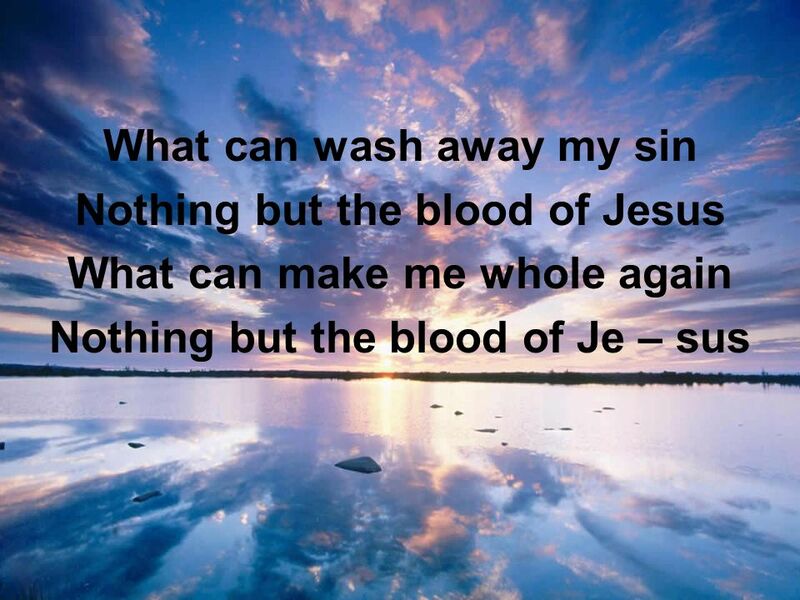 What can wash away my sin Nothing but the blood of Jesus What can make me whole again Nothing but the blood of Je – sus. 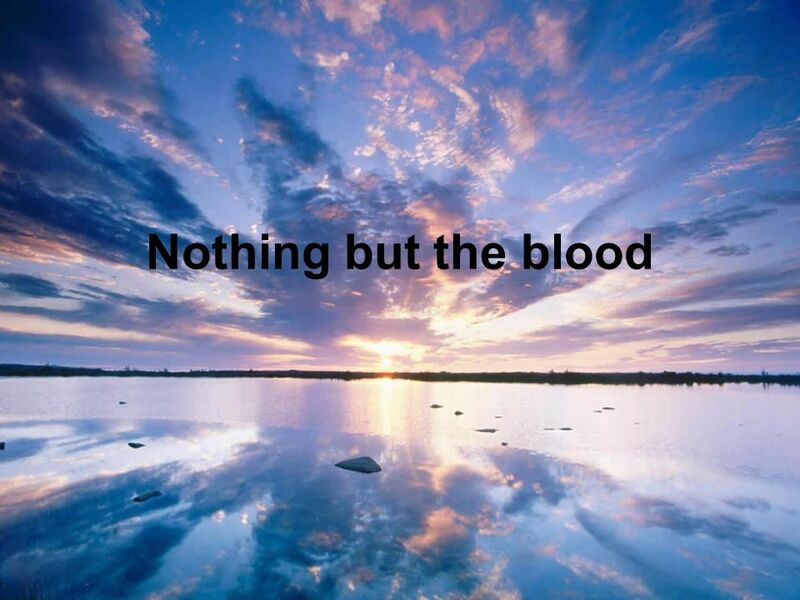 Download ppt "Nothing but the blood. 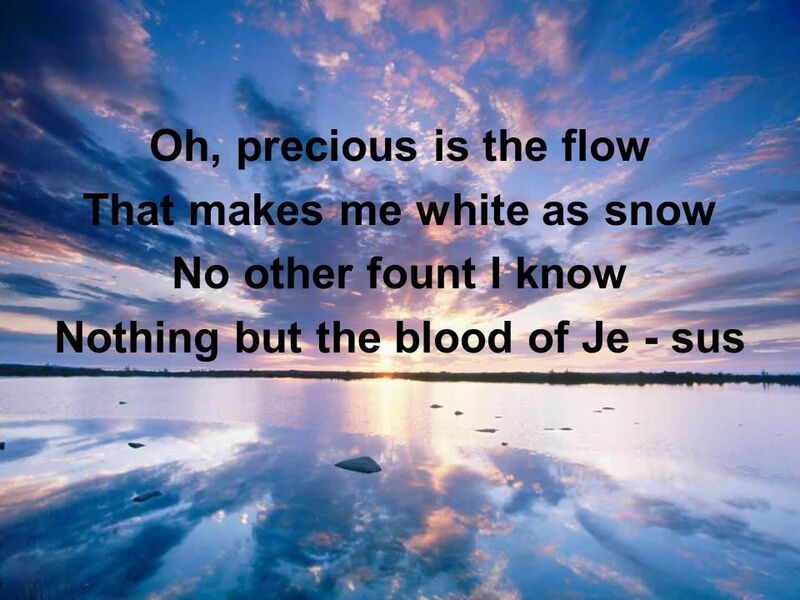 What can wash away my sin Nothing but the blood of Jesus What can make me whole again Nothing but the blood of Je – sus." Lord Im Coming Home 1-6 Ive wandered far away from God, Now Im coming home; The paths of sin too long Ive trod, Lord, Im coming home. Coming home, coming. On The Cross Of Calvary 1-4 On the cross of Calvary, Jesus died for thee and me; There He shed His precious blood, That from sin we might be free. O, the. Nothing But The Blood What can wash away my sin? Nothing But the Blood Your blood speaks a better word Than all the empty claims I’ve heard upon this earth en.wikipedia.org/wiki/Matt_Redman. We stand and lift up our hands, For the joy of the Lord is our strength We bow down and worship Him now, How great how awesome is He And together we sing…. I've wandered far away from God, Now I'm coming home; The paths of sin too long I've trod; Lord, I'm coming home. Lord, I'm Coming Home N°296. Call to Presence and Invocation If we confess our sins, He is faithful and just to forgive us our sins and to cleanse us from all unrighteousness. 1 John. Nothing But the Blood What can wash away my sin? 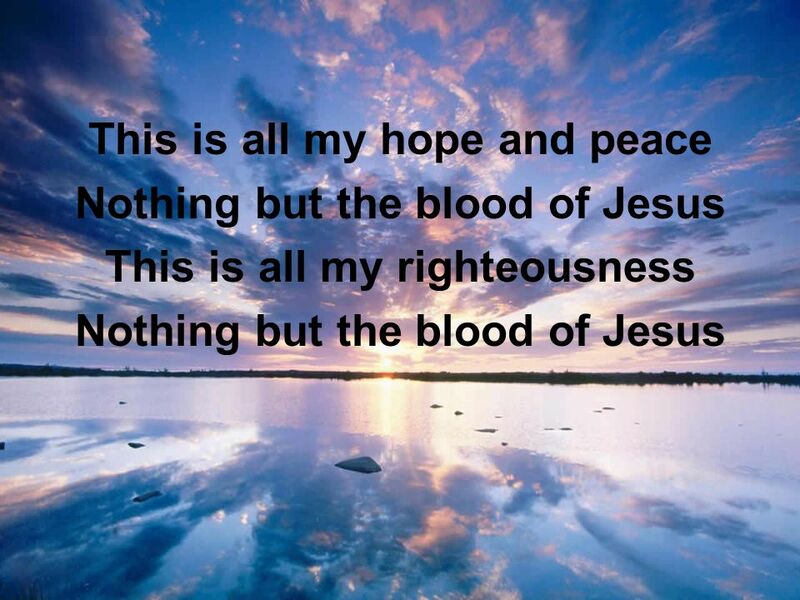 Nothing but the blood of Jesus. What can make me whole again? 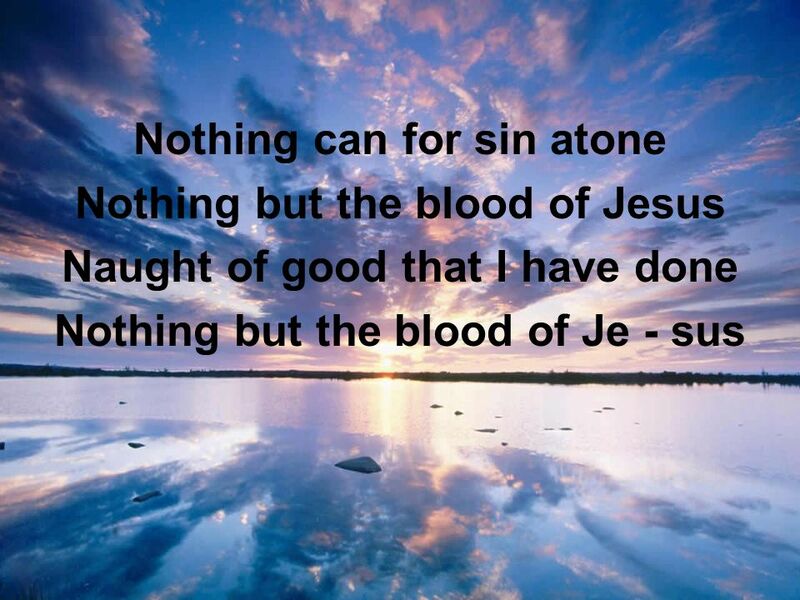 Nothing but the blood of Jesus. YOUR GRACE IS ENOUGH Great is Your faithfulness oh God You wrestle with the sinner’s heart You lead us by still waters into mercy And nothing can keep. #353 Nearer, Still Nearer Nearer, still nearer, close to Thy heart, Draw me, my Savior, so precious Thou art; Fold me, O fold me close to Thy breast, Shelter. The Blood Of Jesus. There is a fountain filled with blood Drawn from Emmanuel’s veins. Nothing But The Blood Words and music by Matt Redman Your blood speaks a better word Than all the empty claims I've heard upon this earth. Songs We Sing Have you been to Jesus for the cleansing power? 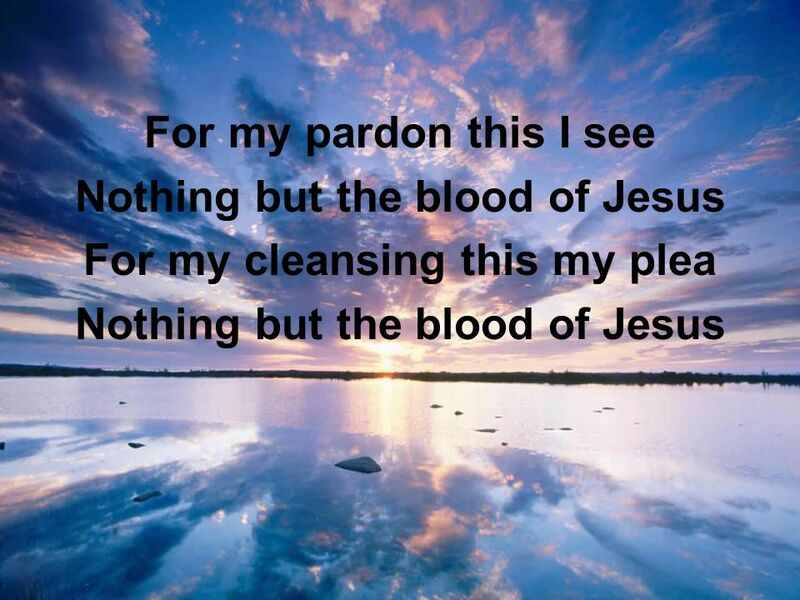 Are you washed in the blood of the the Lamb? Are your garments spotless? Are they white as. PRINCE OF PEACE (Ladies echo) You are holy You are mighty You are worthy Worthy of praise. CCLI# 2897150 White as Snow. Psalm 51:1-2 1 Have mercy on me, O God, according to your steadfast love; according to your abundant mercy blot out my transgressions.